For individuals with pulmonary fibrosis, what is usually supposed to be a stress-free getaway or a relaxing vacation can instead turn into a very taxing ordeal. Even worse, maybe you’re on an already stressful business trip, and difficulty with something as basic as breathing is the last thing you need. Fortunately, we’ve put together a guide to help patients with pulmonary fibrosis enjoy traveling with as little stress as possible. At higher altitudes, the air becomes thinner and begins to contain lower concentrations of oxygen. Although airplane cabins are required to be pressurized to simulate the air pressure of at most 8,000 feet above sea level while cruising at altitudes as high as 40,000 feet, this adjustment may not be enough. At sea level, the atmosphere contains about 21 percent oxygen. However, in pressurized air cabins, the atmosphere inside might only contain 15 to 16 percent oxygen. This is typically enough for an average person, but it may not be adequate for those with chronic lung diseases. Consequently, breathing may become very difficult on an airplane if you have pulmonary fibrosis. 1. 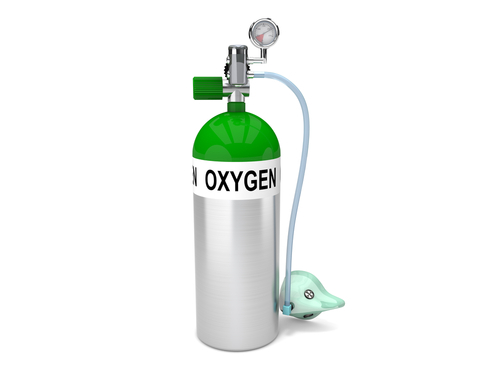 Compressed Oxygen: These are stored in pressurized aluminum cylinders. Unfortunately, although they are relatively simple to operate, they are very large and unwieldy and difficult to transport. This option is only available to you if supplied directly by your commercial airline. Contact the airline for more information. 2. Portable Oxygen Concentrators: These are battery-powered electronic devices. They are lightweight and function by extracting oxygen from the air around them. Many come with a pulse mode and a continuous flow mode. They are readily available for retail purchase. However, you should let your airline know at least 72 hours in advance if you are planning to bring oxygen onto the flight. Furthermore, pack extra batteries in case of unexpected delays in flight schedules. 3. Liquid Oxygen: These can be useful for areas without electricity, as they are simply units of liquid oxygen stored in a portable reservoir. However, because liquid oxygen is a highly flammable, hazardous material, the liquid oxygen itself is not allowed on airplanes. If the reservoir has been emptied, it can be checked in with the rest of your luggage. Carry authorization from your physician that confirms the details of your condition and your need for a portable oxygen source, and be ready to show it at check-in. Additionally, check with the airline for any other medical forms they may require. Finally, check with your health insurance provider to see what benefits are available to you for either carrier-supplied compressed oxygen or your own portable oxygen concentrator. To double check and to give you peace of mind, take a High Altitude Simulation Test (HAST). This test can be performed at your hospital or pulmonary function lab or with your at-home oxygen supply equipment if you already own some. The test is performed by administering an inhaled mixture of nitrogen and oxygen to the patient at conditions that mimic that of pressurized air cabins. If the patient’s oxygen saturation levels drop below 85 to 88 percent, a portable supplemental oxygen source will be necessary on the flight. During this test, the exact amount of supplemental oxygen necessary for safe flying conditions can also be determined. Nutrition can play a surprising role in how easy it is for you to breathe. Therefore, you should always be careful with your diet if you have pulmonary fibrosis. However, it becomes especially important for your lungs to function at their full capacity during a flight. Therefore, nutrition becomes an even greater concern. Your carbohydrate intake should mostly consist of complex carbs so that you can minimize the overall amount of carbohydrates you consume. Eat more foods that are high in healthy fats. Carbohydrates lower the efficiency with which your body metabolizes oxygen, while healthy fats increase this efficiency. Limit your salt intake. This can be tricky if you are traveling and eating out. 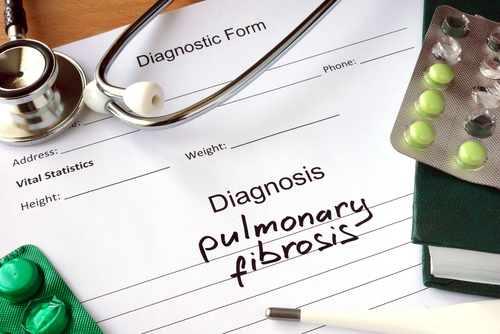 However, diets high in sodium can lead to higher blood pressure, which may exacerbate breathing difficulties associated with pulmonary fibrosis. As always, stay hydrated. This regulates your blood pressure and may also help counter the detrimental effects of the cabin’s dry, irritating air on your throat and airways. Airplane cabins are notorious for being uncomfortably chilly. Cold temperatures can make it even more difficult for you to breathe, as the cold might cause your airways to constrict or tighten. To combat this, be prepared with extra jackets or blankets to keep yourself warm. Even if you end up not needing them, you’ll be happy to have them if you do. 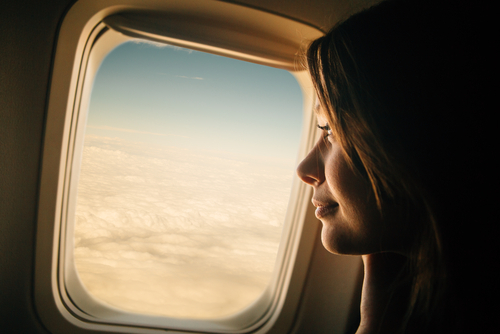 After your diagnosis, try taking shorter (1-2 hour) flights first before taking longer ones. This will help you ease in to the experience of flying with PF and build your confidence up for longer flights. You can breathe easy now. Safe travels!